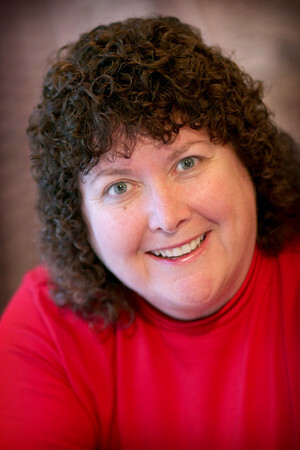 I’m Connie Ragen Green and I’ve been working exclusively online since 2006. For the twenty plus years prior to this I worked as a classroom teacher, real estate broker, and residential appraiser. For all of those years I worked six to seven days a week, struggling to make ends meet and rarely taking a vacation. It was exhausting, and finally my teaching job became one I no longer loved for a variety of reasons. During this time I missed every major event in my family – anniversaries, birthday celebrations, graduations, and more. Even the one time someone in my extended family became a United States citizen I was unable to get the time off work to attend his ceremony. You can imagine how awful this made me feel, like I was a child asking for permission from my boss to be able to enjoy these precious memories with my loved ones. Finally, my family members and my friends simply stopped asking me to join them and then I felt even worse about my situation. I was forced to make the choice of what would be a priority in my life, and paying the bills was right there at the top. If you’ve experienced anything like this in your own life, or know what it’s like to have to decide which bills to pay at the first of every month, then my Write. Publish. Prosper. Live Event and Workshop could be exactly what will make the difference for you during 2015. Choose one, two, or all three of these business models to grow during 2015 and beyond. Encourage, Motivate, And Inspire Your Prospects To Buy! This is crucial to earning above average income online, yet almost no one is doing it properly. Use Your Time Off To Daydream And Imagine Your Way To Even Greater Success! You’ll be learning all of this in the ‘Hands-On’ style t have come to be known for. Exactly Who Is This Workshop For? The Write. Publish. Prosper. Live Event Workshop is geared towards the newer online entrepreneur, but still relevant for you if you already have some experience earning income online. If this is your first year online, or if you’ve been working on your business for a couple of years and still are not earning at least $1,000 a month consistently, then I want you to join me in Los Angeles and learn exactly what you need to do to move forward quickly. This is the very first time I’ll be teaching you how to choose, source, and sell physical products as an additional revenue stream. That’s because I wanted to wait until I had been doing it myself for one full year to make sure I’d be able to guide you in a direction that makes sense and gets you the results you want and deserve. Count on me to share exactly how to get started and then ramp up your product sales in a huge way. What makes this event unique is that you will have me and several others who have a ‘teacher’s heart’. We will be there with you throughout all three days of the Workshop, answering your questions, explaining in great detail, and taking you by the hand to guide you through the material we’ll be presenting. Someone asked me last week if they should attend, even though she doesn’t have any plans to write a book anytime soon. That’s when I realized that I had done a poor job in explaining exactly what I will be offering you during these three days. Write. – This is where we delve into the world of content creation, copywriting, creating simple yet profitable information products, writing titles and descriptions for books on Kindle and products on Amazon, and so much more. Branding yourself, your business, and your products will also be discussed in great detail. Publish. – This refers to actually getting your products up online and available for sale. There is a simple yet effective way to do this so that you can make as many sales as you like, whatever your level of interest, experience and expertise, or niche you choose. Prosper. – This is where I ‘Show You The Money!’ and the Internet Marketing Lifestyle you are desiring to have as a part of your life experience. Prosperity is also attained when you achieve the lifestyle and peace of mind that comes from confidently running your life and your business in the way that works for you and your family. The competition to be successful online is greater than ever these days. You deserve to have an edge to get your business up and running and profitable in as short a period of time as possible. The goal and intention of this Live Event Workshop is to accelerate your learning curve immensely, allowing you to jumpstart your progress and achieve optimal results. I will be sharing all of my secrets, tips, methods, strategies, and shortcuts with you in a well thought out, step by step plan to help you succeed. Additionally, I’m bringing in additional trainers, hand-picked from my community and Circle of Influence, to share their knowledge, experience, and expertise with you. What’s This Workshop Event All About? The Write. Publish. Prosper. Live Workshop is a three day event in Los Angeles March 27th, 28th, and 29th, hosted by me, Connie Ragen Green, and based on my bestselling book and online course of the same name, as well as on my experience as a highly successful online marketer since 2006 and physical product seller since 2013. It is designed for you if you still have a J.O.B., or if you are already working online and are ready to become a full time marketer and online entrepreneur. No matter what your background or interests, you will be able to choose a niche that will be right for you to build a lucrative online business with authorship, information product creation, or physical product sales, or a combination of these business models. We will explore all aspects of doing business online so that you’ll be able to move forward with the model that’s right for you and fits the lifestyle you want to create for yourself and your family. Physical products on Amazon, Digital Information Products, Or Books? Yes, this Workshop will go into great detail as to how you can get started with selling privately labeled products on Amazon (I’ll be sharing three of the U.S. suppliers I have been using successfully since November of 2013). We’ll also discuss and learn how you can incorporate digital information products into your business, and the fastest way to profitable authorship of books for Kindle and Create Space. Being able to incorporate all three of these business models will ensure that you become profitable in as short a time as possible. What If You Attend This Event? By attending this event you will learn exactly what you need to get your business up and running in a big way so you can hit the ground running. You’ll also connect with like-minded individuals who understand what it’s like to have a home-based business from your computer and are already on the path to becoming successful entrepreneurs. Connecting with the right people early on in your career is crucial to success. And, because I only host ’boutique’ events, meaning that I cap the number of attendees at forty, you will be able to meet everyone and find the right people in our group to help you move forward quickly. You will have three full days in a hands-on, workshop setting to learn all of the details of setting up and running online business profitable. No one is born an entrepreneur, and those who do succeed at this already know what you will learn during our time together. Your success is my reward, so I truly want you to succeed! I promise you that I will not hold anything back, and to be fully accessible to you during our three days together. Fair enough? Do You Ever Feel Like You’ve Missed Something? If you’ve been trying to build a profitable online business for more than a year and can’t seem to put the pieces together, it could be that you have missed pertinent information somewhere along the way. If you have gaps and holes in your online marketing education, this could be keeping you from succeeding in the way you know that you can. My goal is to fill in these gaps for you, allowing you to move forward rapidly and with the knowledge needed to do so in a way that makes sense for you. You will also learn ‘Workshop’ style for all three days. This means that you will be involved in hands-on activities to build your business, instead of simply sitting in the audience and taking notes. You’ll want to bring a laptop computer or a smart tablet with you, and we’ll have plenty of room to work in small groups throughout the three days. Day 1 (Friday, March 27th) – On the first day we discuss and explore the direction you want to take to build your business, choosing from authoring books and other credibility building projects, digital information products, or physical products. I’ll share how to set the stage for the proper mindset, massive productivity, effective time management, and thinking/acting for success as an online entrepreneur. Too many people leave this part out, causing years of frustration, overwhelm, and disappointingly little progress. We will learn how to write headlines and product descriptions that attract buyers, formulating the keywords and phrases that can be used to establish credibility, increase visibility, and create potential profitability for you when you begin promoting your products for sale online. By the end of Day I you will have chosen the path you wish to pursue and take massive action to put everything into place to work on during the remainder of your Workshop. Day 2 (Saturday, March 28th) – On our second day together we will get down to the business of writing an outline and business plan, choosing a physical product, outlining a book, or starting the creation of a digital information product. Getting started online can be inspiring and motivating, but we now move on to content creation, setup, and marketing as a way to sustain your success with online marketing in general and online business more specifically for the long run. I want you to grow and develop your business exponentially after our time together is done. We will also explore self-publishing as a way to earn even more as an online marketers, and as an attendee you will be invited to contribute a chapter to my new book, entitled “Online Marketing Success: How Forty Entrepreneurs Are Making It Work For Them”. Day 3 (Sunday, March 29th) – Today we bring it all together with additional monetization strategies that work, including the eight streams of online income that will change your life forever. Then I’ll share my well-honed strategies on how to host your own workshops and events. You will also be connected personally with the same people who make the technical aspect of this business a snap, and others who will open the doors to huge opportunities for you over the following weeks and months. The reason I love teaching over a three day period at my Workshops is so that you will leave with your ‘Big Picture’ plan, as well as with the detailed plan of how to get started even before you leave Los Angeles. The Internet has changed tremendously in the nine years I’ve been working exclusively online. What used to work well has, in many cases, dried up completely while other techniques and strategies work even better now. How will you know where to focus your energy, if you aren’t interacting with people who are pursuing and living this lifestyle? The answer is that you may spend countless days, weeks, or even longer on projects that will not pay off well, or at all. I want you to be part of an elite group who has ongoing access to the latest industry secrets, changes, and tips. My promise to you is that you will have the knowledge, information, and connections to grow your business to the level that is comfortable for you within the next ninety days. 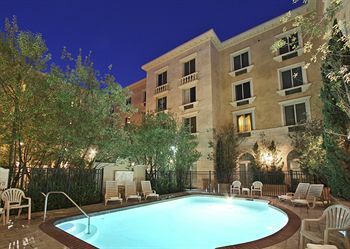 This will be my first time hosting an event at the hotel I’ve reserved for us in Los Angeles. 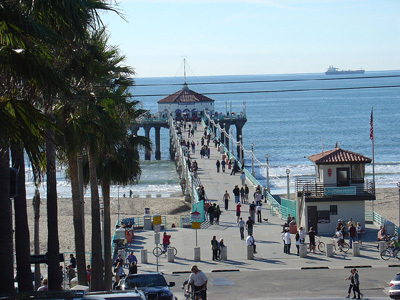 Located less than five miles from the Los Angeles International Airport (LAX), it is also just ten minutes from the Manhattan Beach pier and beach resort area. After attending two events here over the past two years, it was the logical choice to host this 3 day Workshop. 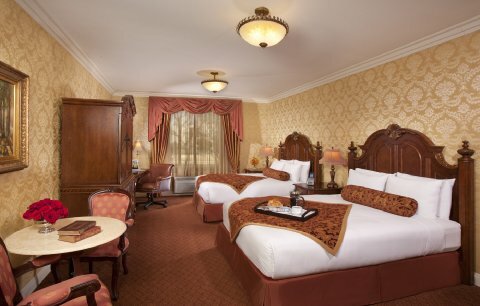 All of the rooms are gorgeous and well appointed, keeping in line with the ‘old world’ charm of this hotel. Each room includes a microwave oven and a refrigerator for your convenience. With many stores and healthy choices close by, it’s perfect for preparing your own breakfast or late night snack. As you can see from my photos, this is a gorgeous place to learn and network with our group. 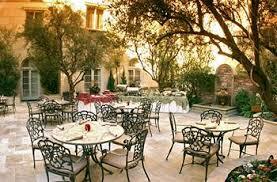 The hotel staff has worked closely with me to offer room rates that are quite affordable. The room rate I have negotiated through the special room block gives you the very best price, even compared to the discount sites on the Internet. With that said, please note that you must stay at our event hotel for a minimum of two nights, so that I am able to meet my commitment to the management. If you wish to be paired with a roommate, just let me know and I will make every effort to do so on your behalf before the event gets underway. I would love to connect with you at this Write – Publish – Prosper Live Event Workshop. It is unlike any of my previous events and sets the bar much higher than many of the events that are currently being offered. Unlike many live events with two or three hundred attendees, I prefer to limit my Workshops to a maximum of 40 participants. This ensures that you get to meet everyone who attends during our first day together, and gives you a more enriching experience overall. Register today to hold your spot and I look forward to seeing you in Los Angeles on March 27th, 28th, and 29th. The Write – Publish – Prosper Live Event Workshop will be held in Los Angeles the weekend (Friday, Saturday, and Sunday) of March 27th through the 29th. Please Click The Button Below For The Registration Price Of Only $149.